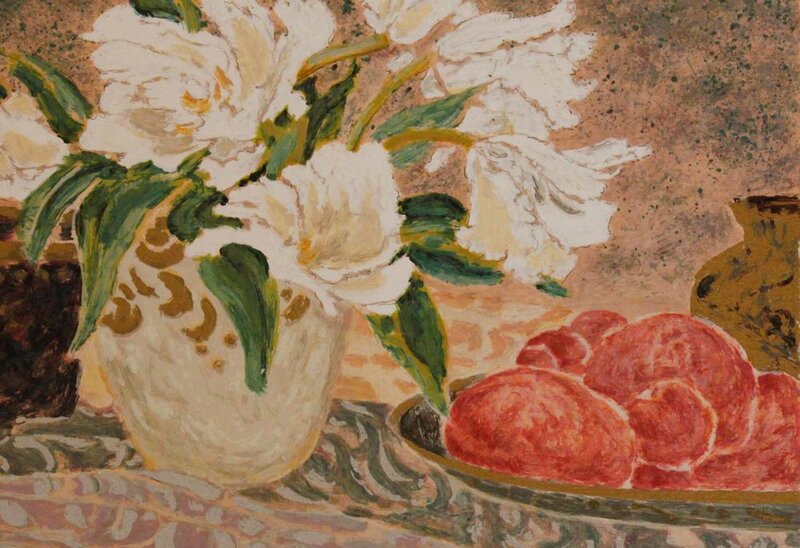 Ellen Gunn was given artistic training from an early age by her father, William Neal Gunn, package designer and accomplished painter, and her uncle, Harold Arnold, noted watercolourist and teacher. As she admits, "They made me aware of the kinds of mood that could be created with colour and gave me arduous training. Most importantly, I got the sense from them that I could create beauty through dedication to my craft and painstaking study of colour combinations." Gunn continued her studies of colour and design with Pat Steir and J.C. Suarez at the Parsons School of Design where she graduated with honours in 1973. A year later, she studied with Barbara Nessim at the School of Visual Arts in New York While in New York, Gunn immersed herself in the city's museums and galleries. Impressionist painting in particular left their mark on the young artist, given her fascination with light and colour. In 1976, Gunn, wanting a change from New York, moved to California. She studied printmaking at the Kala Institute at Berkeley, and at the California College of Arts and Crafts in Oakland, with Charles Gill. 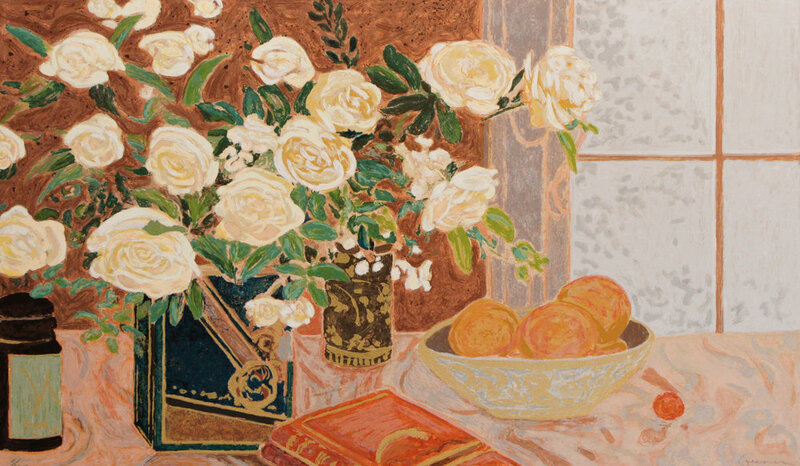 Although Gunn has experimented with many artistic media, she prefers the rich velvety colours available in pastel. She has an affinity for landscape and still life. "Artists take everyday things that you see and show them in a more intense way. My work is representational, and yet there is nothing that I do that you could look out of a window and see. The shape of the land is there, but it is simply a starting point. Although my work is based o realism, it is not anchored in slavish detail. Rather, it is an illumination and a refinement of things seen." 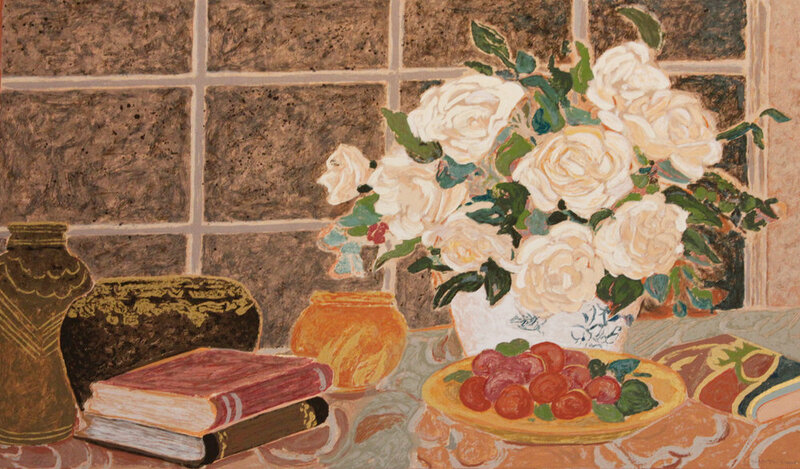 Gunn is concerned with the way light and colour can evoke the viewer's emotion. "I like art that is compelling I seek to produce images that have a striking quality, that create a real emotion. Where Vancouver BC colour, line, composition and mood all come together into an image that, for whatever formal concerns as to why something works and why something does not, really elevates the viewer's awareness and changes something for that person."